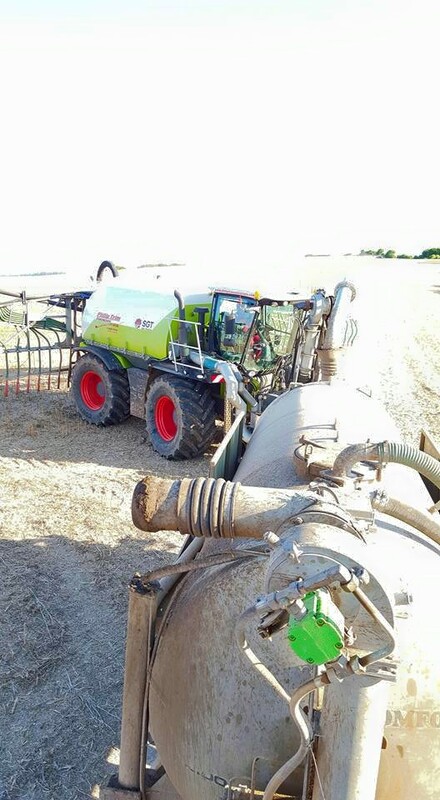 Philip Trim Contractors are the first UK operators to have a Claas Xerion self-propelled slurry and liquid spreader, adapted with an SGT slurry system to be able to apply slurries to farmland. This Class leading ultra-low ground pressure machine to purpose built to help farmers with their waste management. 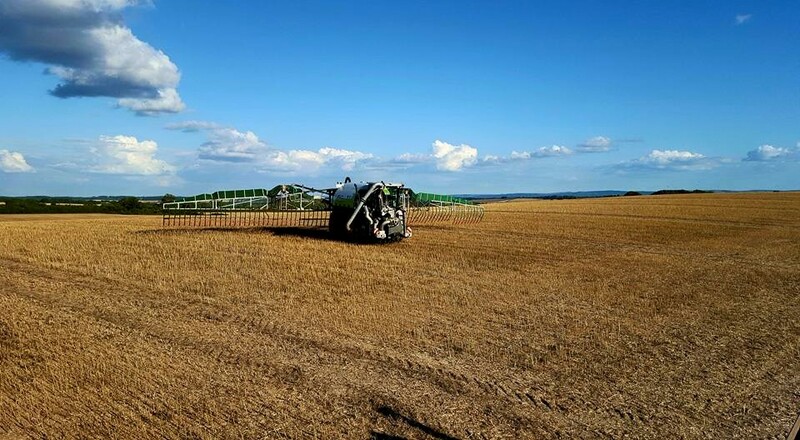 Capable of spreading 200,000 gallons of liquid a day, it is the ultimate in the application of slurry to land. Precision recording of application per field, the information is stored and presented to the farmer which satisfies all of the NVZ regulations. We are able to record data from the machine to the office for the Environment Agency regulations. The machine is capable of operating on any soil types and applying high volumes on a daily basis. 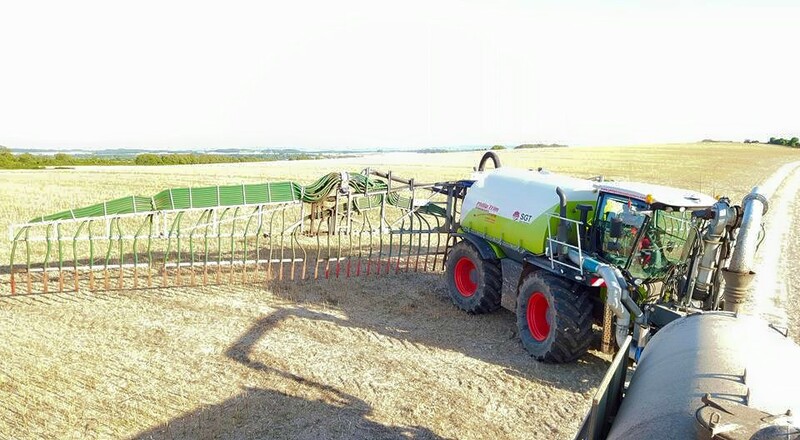 It’s able to incorporate the slurry with various implements for different applications. We haul from farm to field either by a farm tanker where tracks and terrain is a must, or road haulage and long distances we would haul with our own fleet of arctic tankers adapted to be offloaded by the Xerion. 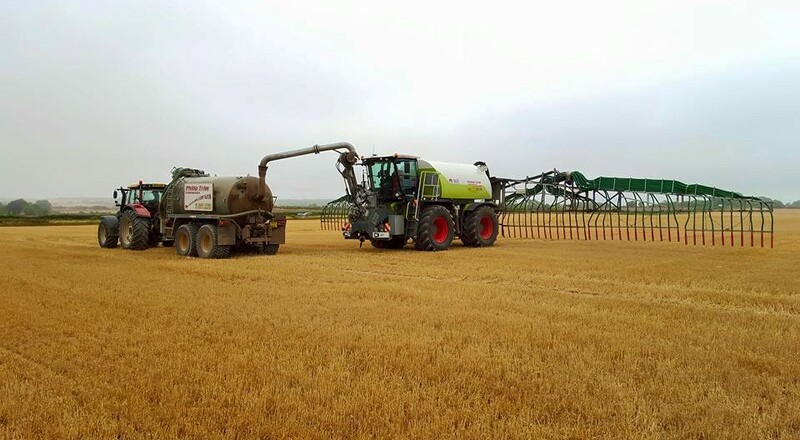 Two new Joskin tankers complete the kit to transport slurry to the field – using your own valuable farm nutrients to grow crops economically and minimise costs, and waste into the environment. The Xerion with all its implements is an excellent combination and currently in great demand. 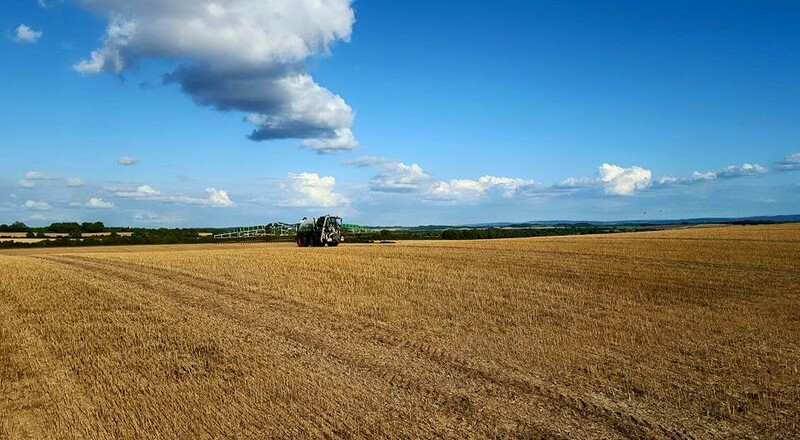 Philip Trim Contractors are moving rapidly into the future to provide the service required by farmers and managers to comply with the NVZ regulations being enforced by the Environment Agency.